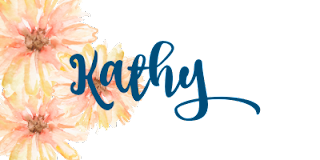 #stampinup #faithfulinkspirations #ublueunwind I didn't buy the "Petal Palette" stamp set and matching Petals & More Thinlits when it was in the Occasions Catalog, so I'm thrilled that it carried over to the current Annual Catalog! It's a great, all-occasion set. I love the soft images and sentiments. I was also thrilled to see that Ceal Pritchett had used this stamp set and thinlits for our Unwind Blue retreat shoebox swap!! Ceal did a lot of the work for us--not the least of which was designing the card and preparing the various card parts! She stamped the floral image in Memento Tuxedo Black Ink onto Whisper White Card Stock and cut it out with the matching Petals & More Thinlit. Ceal also colored the image with Light and Dark Pool Party Stampin' Blends and Light and Dark Old Olive Stampin' Blends. We stamped the leaf images three times in Smoky Slate Ink onto a 4" by 5-1/4" Whisper White mat. We adhered the floral image to the card with Stampin' Dimensionals. 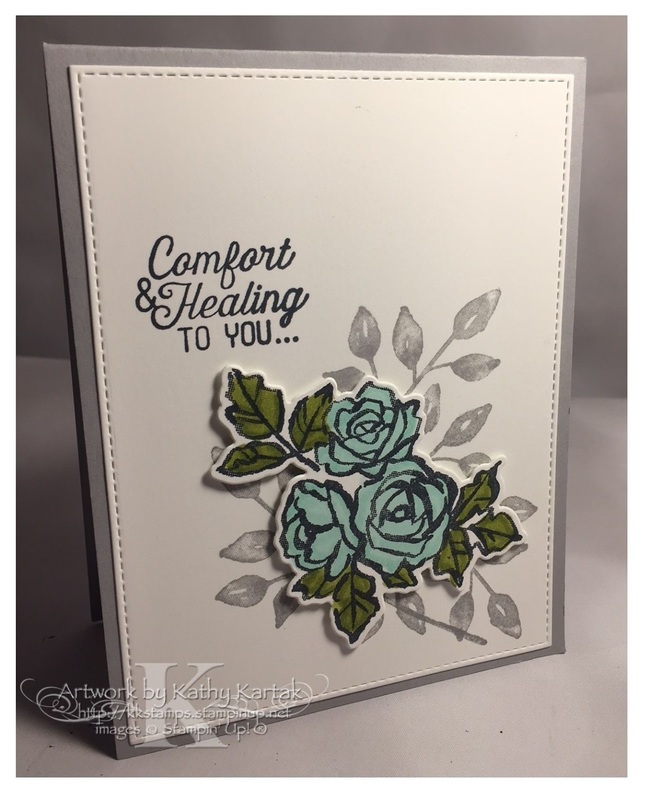 We stamped a sentiment from the "Flourishing Phrases" stamp set in Memento Tuxedo Black Ink and then adhered everything to a Smoky Slate Card Stock card base. Isn't this beautiful?! Thanks, Ceal!